With all the clever marketing strategies you see in the internet, billboards and TV commercials, it’s easy to get tempted into spending on things we don’t actually need. However, some people take this too far and end up broke because they can’t seem to quit their shopping addiction. Do you find yourself in this situation? Here are five tell-tale signs that you might be shopaholic. A shopaholic isn’t always garb with new stuff every day. 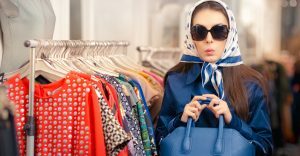 In fact, it is common that compulsive shoppers have pieces that sit unused and unopened in their closet—things that you might be ‘saving’ for that special occasion. For women, these purchases usually include shoes, jewellery, clothing and accessories. Men, on the other hand, tend to hoard bigger items, like sports equipment, watches and cameras. What goes up must come down—this explains the reaction of compulsive buyers to a spree. When you buy something you really want, the brain rewards you with a euphoric feeling, which is also known as the ‘shopping high’. However, the high quickly drops and is often followed by a negative mood. This includes feelings of guilt, stress, disappointment and remorse. Whether it is because of unnecessary purchases, unsettled bills or too much time spent online because of online shopping, if your spouse starts to notice your shopping habits, it’s a clear sign that you have a problem. When your spending habits already cause negative effects on the relationship, it’s time for you to seek professional help. Another telltale sign: You have continually promised that you’ll cut back or stop, but you can’t. Like any other addictions, shopaholics experience cravings and strong feeling of excitement that they are frequently uncontrollable. They even tend to ignore the consequences of impulse buying, such as bankruptcy, family conflicts and legal issues. And when you can’t shop, you experience withdrawal symptoms like anxiety and irritability. A shopping addict has the extreme need to shop that it interferes with their relationships, work and other obligations. Without thinking twice, a shopaholic chooses sales over work and spending time with family and friends. Studies show that people with higher risk for compulsive buying disorder is more socially sensitive, causing them to feel shy and avoid social situations. As with other types of addictions, compulsive shopping is a dangerous thing. 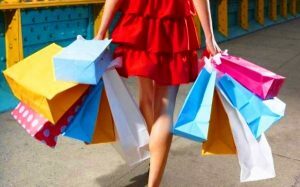 In addition to wreaking havoc on your relationships and financial health, shopping addiction can potentially devastate your mental and physical well-being.